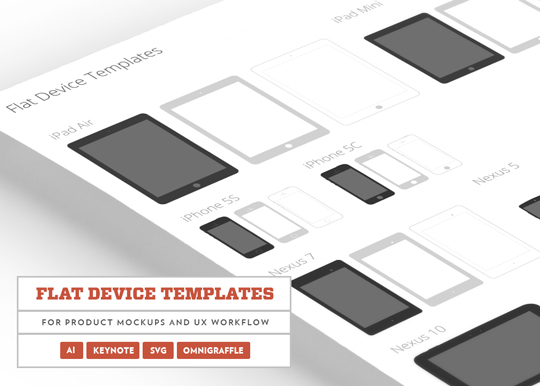 Today’s freebie flat device templates comes from Raymond Macari. The files come with 13 popular devices all designed in three different styles: Solid Black, Outlined, and Grey. These handcrafted devices work best in product mockups, and speed up your UX workflow. Delivered in .AI, EPS, SVG, Keynote and OmniGraffle. Hi, it appears that this item is not free and requires a credit card.